Long before modern technology has been developed, calligraphy is known to be the artistic process in which penmanship is used to create beautiful art pieces. The usage of calligraphy can be traced to ancient civilizations where its functionality to depict occurrences is given more importance than its aesthetic value. Nowadays, the need to use calligraphy is more likely due to the striking visuals that it can provide, which can change the overall look of documents and merchandises. Though it is truly fun to create the traditional calligraphy where you use calligraphy tools, the time that it will take you to perfect a particular output may just be too long or tedious. This is the reason why modern calligraphy fonts have been rampantly used by people. 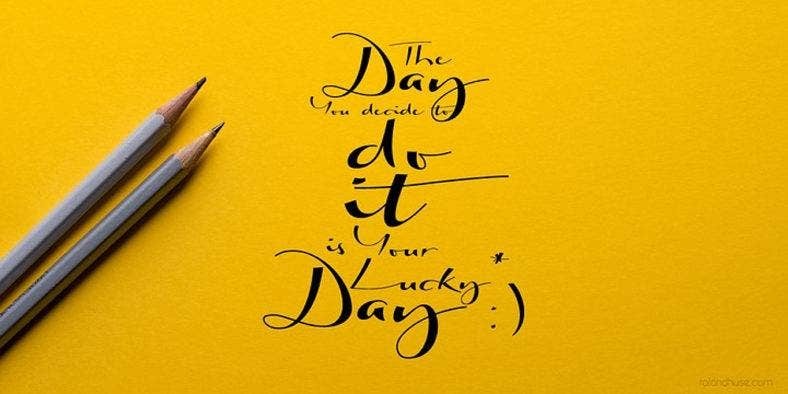 With the different kinds of cursive writings and script fonts, it would be easier for you to find the perfect match for the material on which you would like to place the font by browsing through various samples and testing them out. 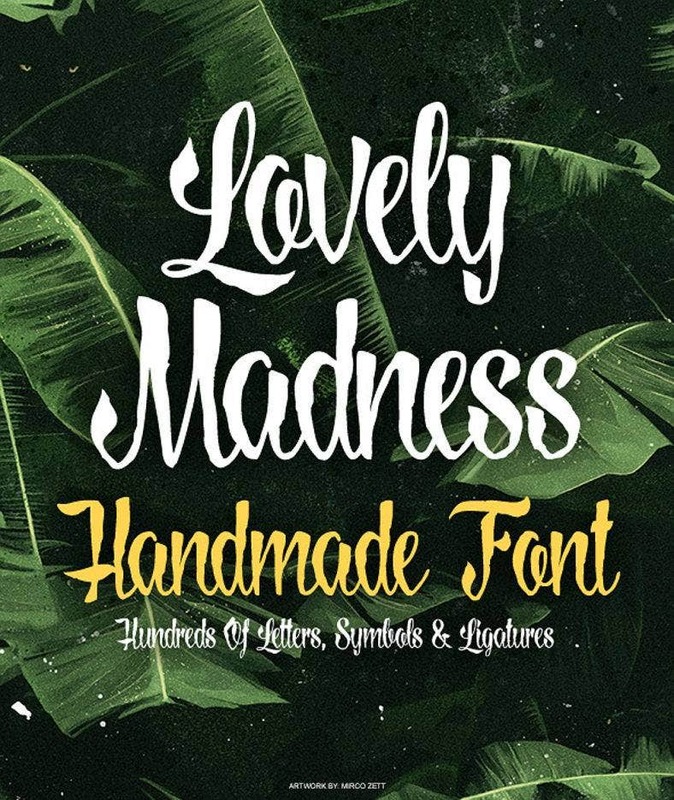 Being able to fully utilize the aesthetic benefits that a specific modern calligraphy font style can provide should always be the end goal on why you will use downloadable fonts rather than make calligraphy from by hand. Why Use Modern Calligraphy Fonts? They come out perfect all the time. You can always be assured that the calligraphy you use will be perfect as you will be applying fonts that are already pre-formatted and pre-designed. 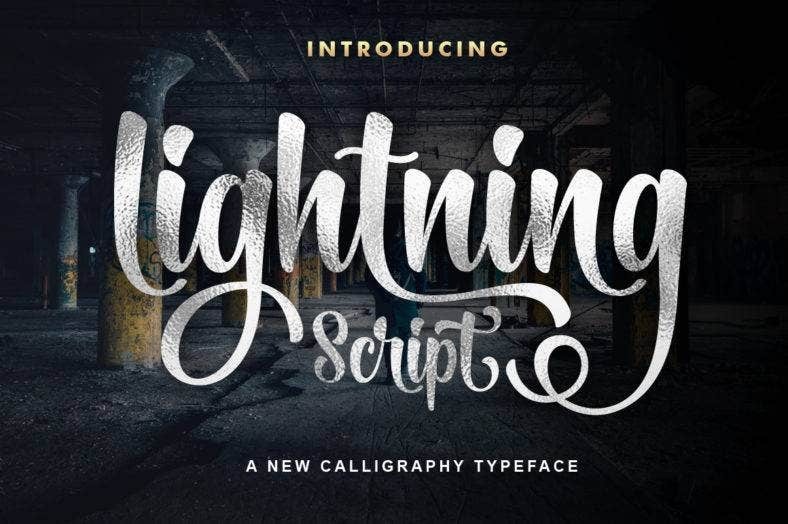 Unlike traditional calligraphy that can undergo different phases of trial and error, modern calligraphy fonts can give you the result that you need with just a few clicks of the button. They are easy to use. This allows users to create modern calligraphy that looks like they are made by professionals. The ability to use letter designs repetitively can make a calligraphy more polished, put together, and well-formatted. If you want to have modern calligraphy in any material, it will always be a great way to use fonts as they are user-friendly and can be customized. They are time-saving. The usage of modern calligraphy fonts will allow you to have the design aesthetic of an actual calligraphy without taking too much time to gather materials and tools. All you need to do is to download the style that you want and you are on your way to having your text become more beautiful. Use the Modern Calligraphy Font Willow Bloom if you want subtle touches of soft lines and curved edges. 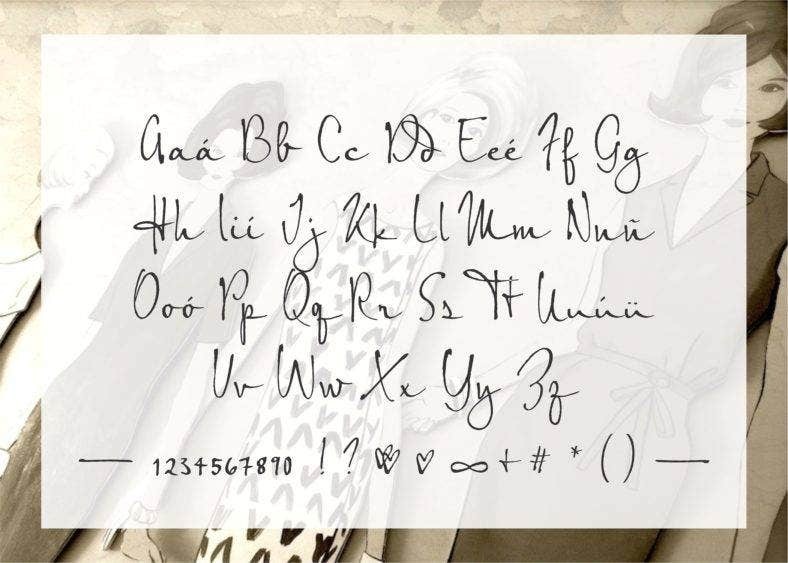 Using this particular calligraphy font is perfect for boutiques and other novelty and merchandise shops that sell products for girls. The last is due to the softness of the design that can be associated with femininity. 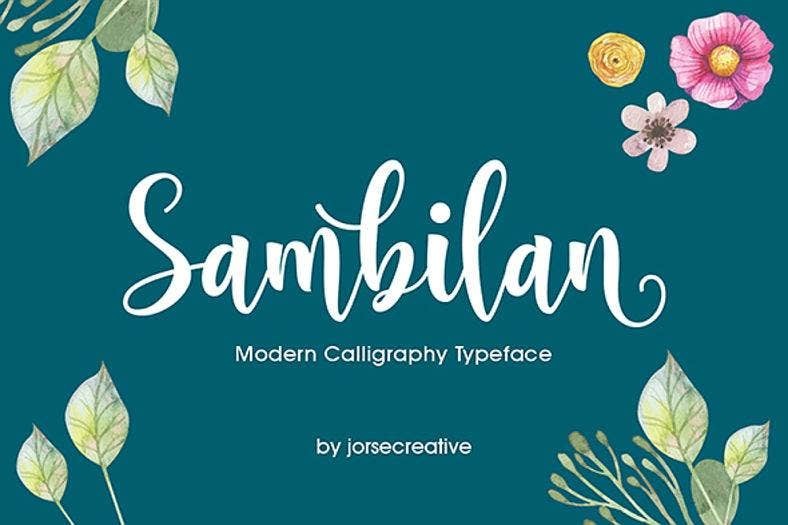 Speaking of a font design used in a business setting, you may also try the Sambilan Modern Calligraphy Typeface. This calligraphy font will look great when used for company logos, business cards, brochures and other marketing tools. Though there are still curves present in the design, the font still looks authoritative, polished, and elegant. Other than its usage in businesses, you can also use calligraphy fonts for tattoos or even in designing creative documents and art projects. 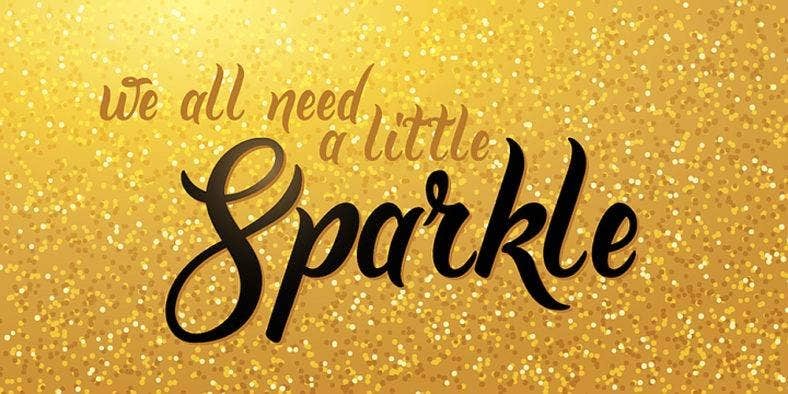 It will be more fun if you add glitter elements to make your material sparkle and shine just as how this Golden Brush calligraphy font has been designed. Don’t you think that soft edges and glitters are truly great combinations when trying to achieve a fancy look? Aside from the classy glitters, you can also have calligraphy fonts that are simple yet still artistic. 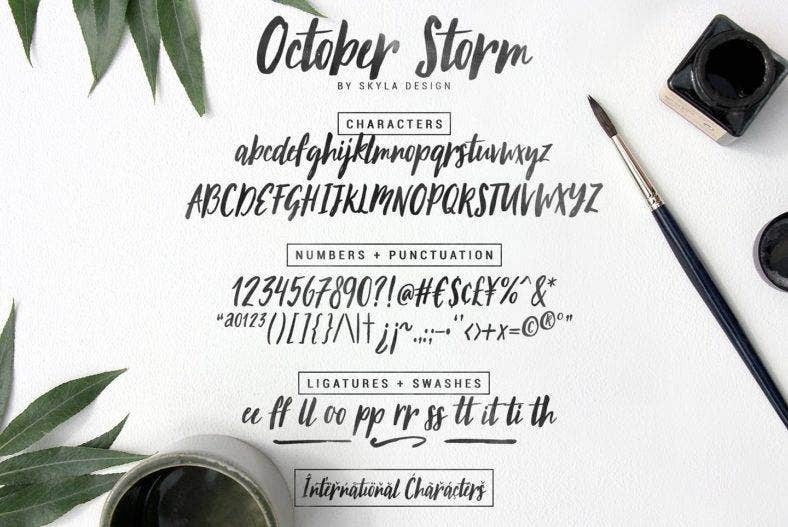 October Storm calligraphy font, for example, reflects a calligraphy that is done with a paint brush. The strokes of the font are not harsh yet it can still provide a strong impact in terms of its overall look. With the watercolor hues reflected in this font type, this is recommended as a wedding calligraphy font or to be placed on other formal invitations used for debuts and graduation balls. 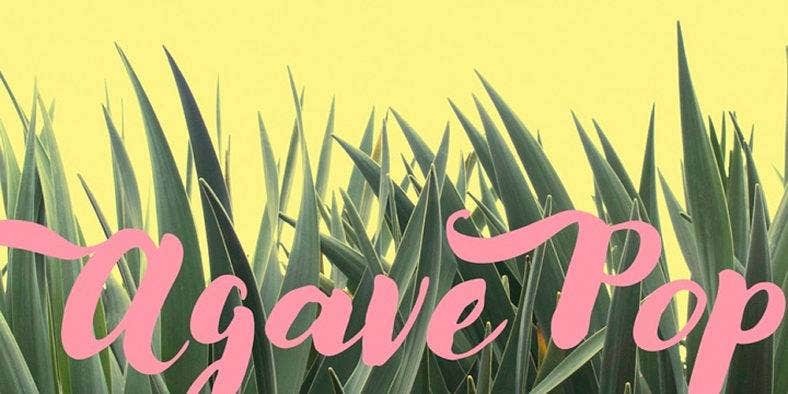 Where Can You Use Modern Calligraphy Fonts? 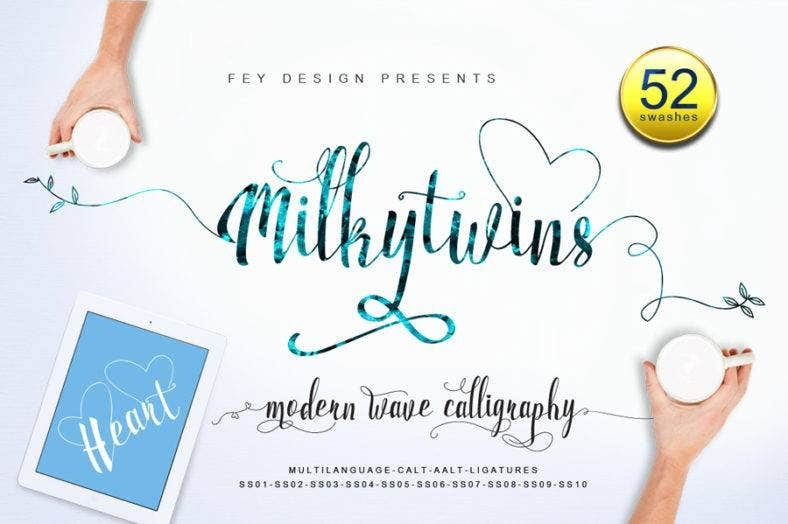 As mentioned above, there are different kinds of modern calligraphy fonts that can be easily downloaded and used. Whether they brush fonts, felt tip fonts, or just representations of cursive writing. This allows this design material to have a wide scope of usage which can benefit people from varying age brackets and entities with different aesthetic preferences. Using fonts with modern calligraphy design is a great way to improve the design of your personal belongings. The particular design that you will use can also reflect your personality which is a great thing. You can use modern calligraphy fonts to customize your cases, notebook labels, and other merchandises that you have. Modern calligraphy fonts are already considered as main stays in card designs. 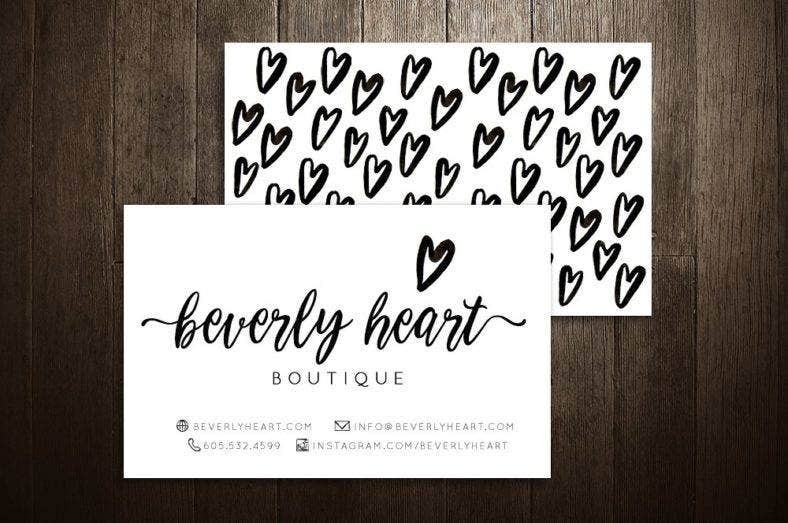 Whether it is a greeting card or an invitation card, these fonts are always present whether in the card cover or in the body of the specified tool. Having modern calligraphy fonts can make the design of cards more timeless. Another way on how you can use modern calligraphy fonts is by printing them out on different mediums. This will allow you to have ready-to-sell items like mugs, shirts and even bags. 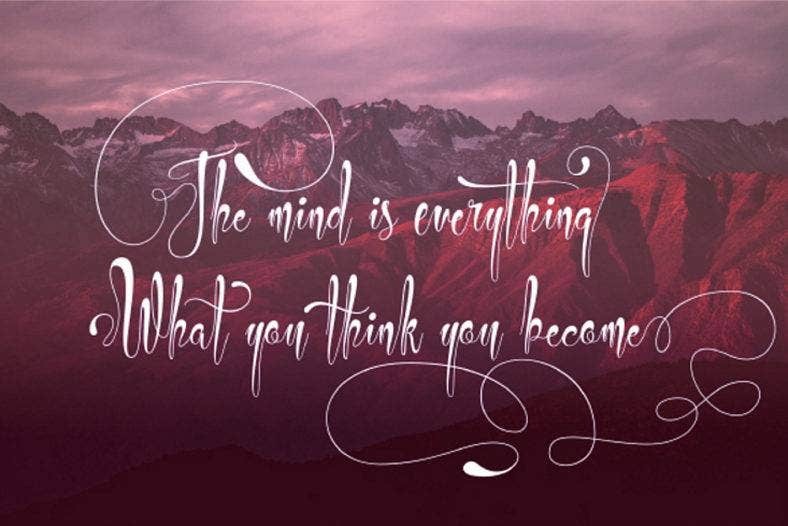 You can create different statements that use calligraphy fonts to attract your target market. 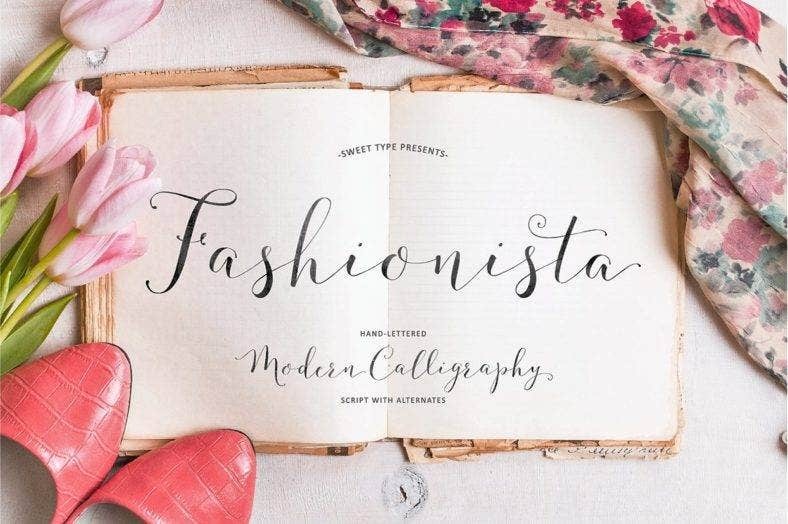 Try out this Fashionista Modern Calligraphy if you want to custom design your diaries and journals. This font for creatives works best with girls who like to make sure that their notebooks and other materials are not just functional, but also pleasing to the eyes. If you think that modern calligraphy fonts are just for women, then your initial way of thinking might not be as accurate as you think it is. 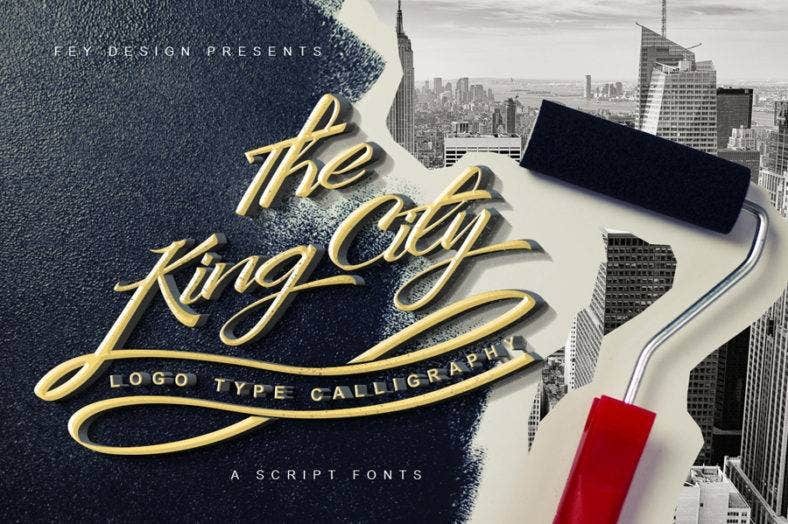 Take a look at King City, a logo type calligraphy font, and appreciate how it can showcase a more masculine take on calligraphy design usage. 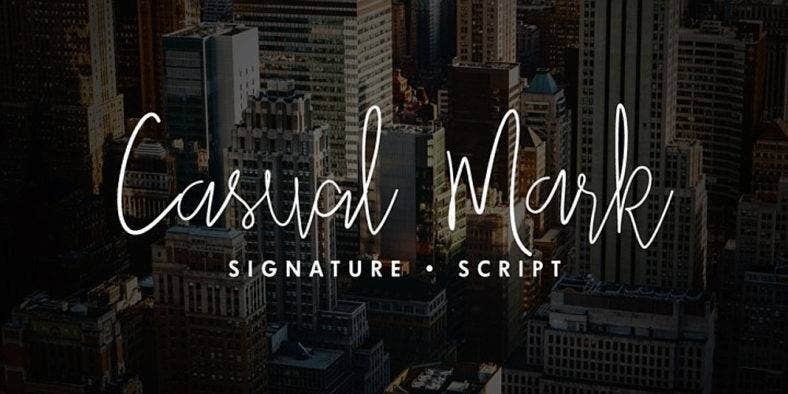 It truly helps that this modern calligraphy font is textured as it can exude a masculine vibe perfect for branding establishments that cater to the different needs of men. 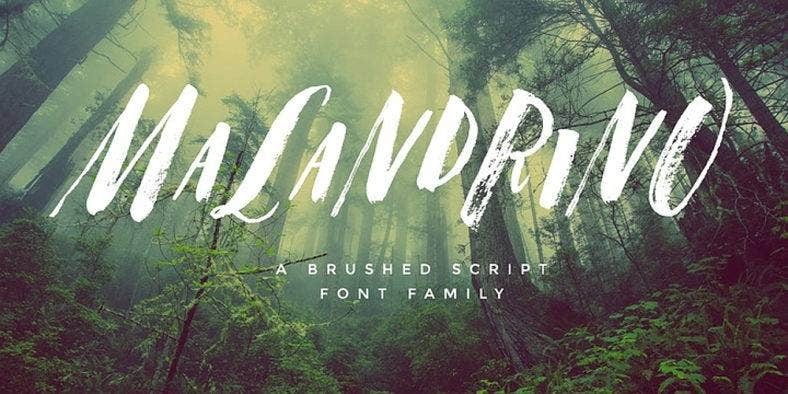 Need we say more about why this is one of the great new fonts for designers? Try using Washington Calligraphy Modern as your go-to font for any type of design. It can be used in various ways that are applicable to and aligned with design aesthetics for both men and women. Modern script fonts for designers can really push the boundaries to achieve an aesthetic for all concerned. What Makes a Calligraphy Font Design Modern? Modern calligraphy fonts are most likely textured. Aside from being just normal writings, there are already calligraphy fonts that can provide the visuals of smoothness, roughness and even varying levels of opacity. Being able to showcase textures can make modern calligraphy fonts match the design requirements of different art projects. Look for additional features that have been incorporated in the calligraphy font design. We already know that curved strokes are already main stays in calligraphy fonts. Added lines and curves may also be seen at the ends of each letter. A few of the design factors that may be placed within a calligraphy font design are luster, embedded material, and images. Modern calligraphy fonts are easy to understand. Gone were the days when calligraphy can portray real happenings through the use of images that only the person or group who made the calligraphy can understand. Modern calligraphy fonts should be understandable while maintaining the design value that it should give to the document where it will be placed. 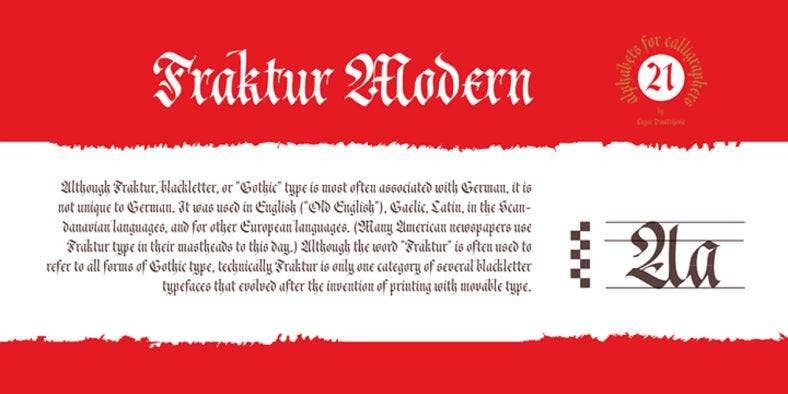 However, compared to retro and vintage calligraphy fonts; they are the representation of the aesthetic of today’s generation rather than a reflection of the time that has been. You can use this sleek modern calligraphy design if you want to focus on the content of your text. Just like block fonts, this will go best with flyer announcements and bulletin boards as it can easily get the attention of viewers with its strong features. It ultimately highlights what the message of the text is. You can always use modern calligraphy fonts not just in designing physical documents. You can also place them in photographs to add more character to a captured image. 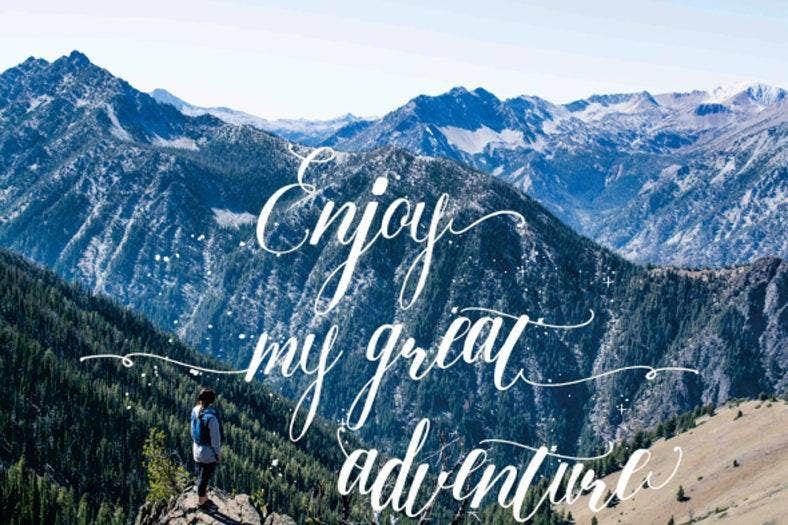 If you are a travel blogger, you can add calligraphy along side other kinds of hand drawn fonts to your photos either to cover unwanted or exposed areas of the picture or just to improve the overall design of the image that you have taken. Make sure that you will consider the thickness of the font that you will use. 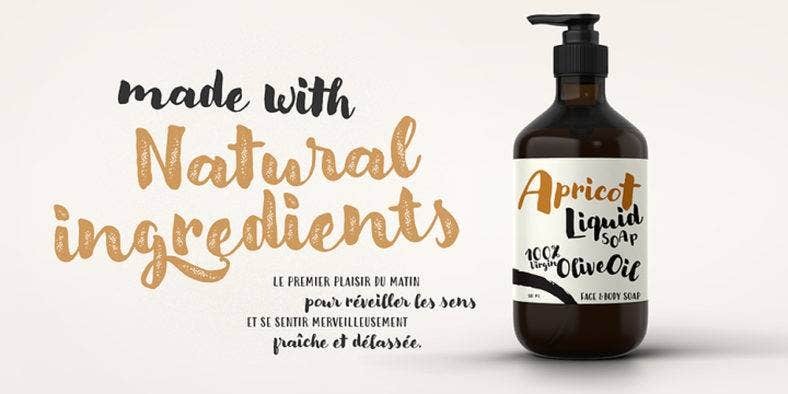 Unlike wave fonts that are commonly big and thick, there are modern calligraphy fonts just like this one that looks great when not in bold as it can fully showcase the little stroke lapses that make it stand out from other kinds of calligraphy fonts. Aside from thin modern calligraphy fonts, there are also some that are chunky. This will be best as branding designs for products as it is very friendly to look at. People will be drawn to know more about the product since the modern calligraphy font used is truly enticing. Don’t you think that this calligraphy font will work well when combined with flower fonts in a single document or material? As we have mentioned a while ago, calligraphy fonts that are modern in style and visuals can also be used digitally. If you want to have an idea of how you can maximize the usage of modern calligraphy fonts in digital platforms and mediums, refer to the listing below. Your social media posts will look better if you will add calligraphy with quotations in your photos. All you need to do is to place the calligraphy on the top layer of your photo. Make sure to match the design of the calligraphy to the photograph so it will not look awkward when they are put together. An example of this is the usage of snow fonts in images of the Alps, the winter season, and the celebration of Christmas. Aside from using photographs, you can also use a plain background where you can add your daily learning and thoughts. This will allow you to have meaningful posts that are creatively crafted as well. If you have a business, you can use modern calligraphy fonts when listing down your offerings and promotions on your online pages. Having a great looking advertising material with the help of the specified font can assure that there will be more traffic in your establishment’s site. More than the beautiful font that you will use, make sure to look at the background that will be occupied by the calligraphy. If you will use the Aura Blue Modern Calligraphy Font, it is best to place it on backgrounds with subtle hues and properly organized design items as this particular font is classy, professional-looking, and remarkable. Going to the simplicity route, this Casual Mark Script will let you embrace the design of calligraphy without going too overboard. 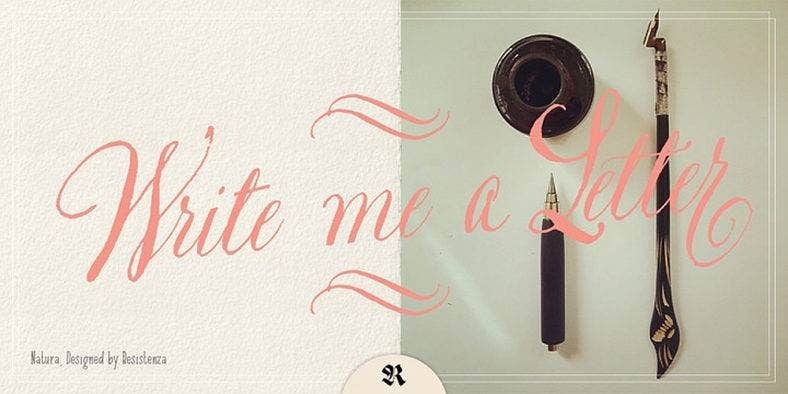 It may not be intricately designed compared to other kinds of modern calligraphy fonts, but the gentleness that it can showcase as a handwriting font is more than enough for it to be an attractive visual. 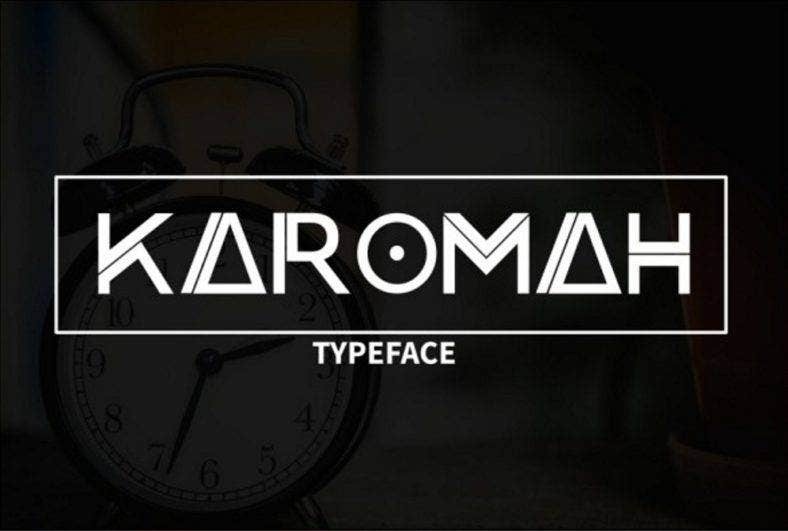 Karomah Typeface Font will allow you to breathe from all the curves of the usual romantic fonts and fancy calligraphy. Its design is created to provide straight lines in various thickness to present an authoritative appeal to whoever will look at it. If you want a font type that alternates between sleek lines and creative curves, try using Kayto as it merges these two characteristics just like how attractive funky fonts do. This quality makes the specified font appropriate for both business undertakings and creative projects. 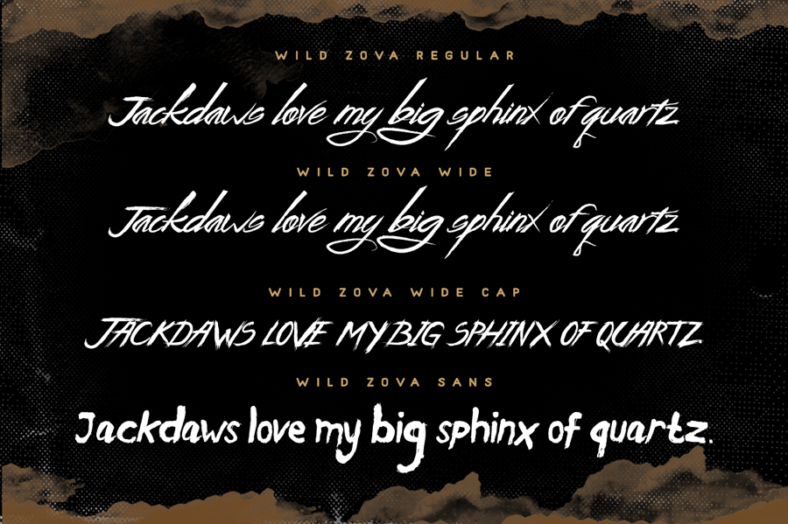 Away Font, a modern brush calligraphy is an artistic dream. 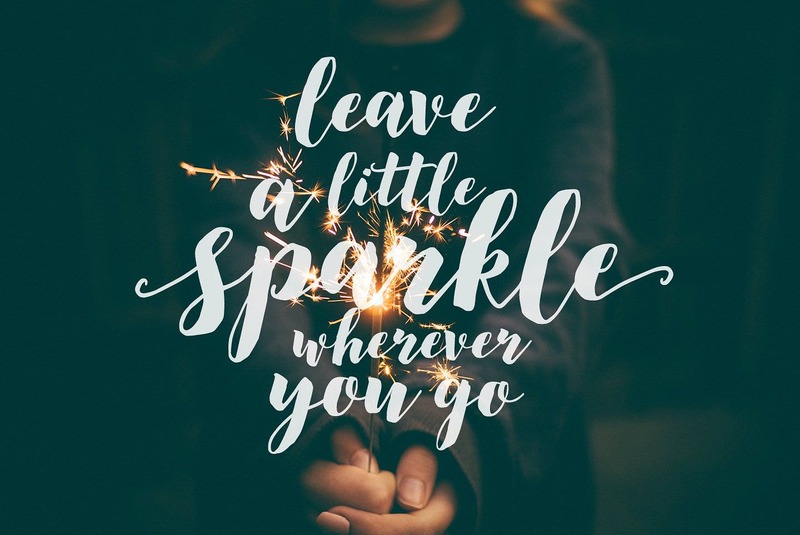 This pretty font will go well used in a printout of quotations that you can frame to put up on your walls and to improve your personal space. The tones that are combined make the entire visual of this font more magical. If you want alphabet fonts that have the strokes of markers seen in its design, using Malandrino is the way to go. 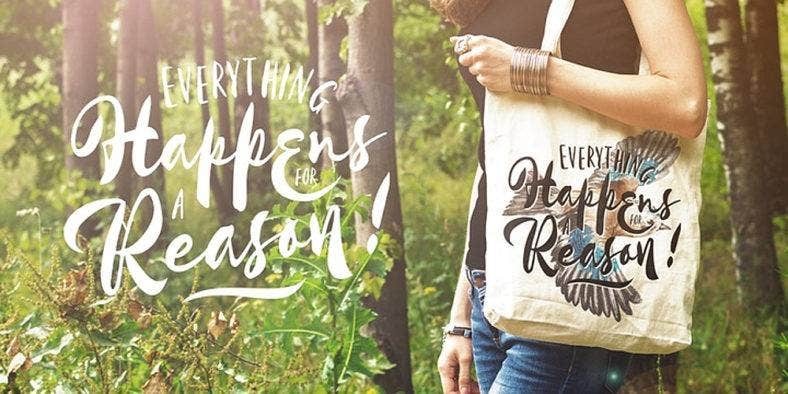 This design is made to reflect a brushed script font that is appealing to this generation’s creative needs. Confused on What Modern Calligraphy Font to Use? If you have already decided to use a modern calligraphy font and the only problem that you have now is to select from a wide range of fancy cursive font designs, some of the tips that we have for you are listed below. Make sure that you are well aware of the creative undertaking in which the modern calligraphy font will be used. Knowing the purpose for which you need this particular type of font is the first step that you need to take to ensure that you are well-guided with regard to the font selection process that you will undergo. Base your option on your character or the expectations of your viewers. Since you are already aware by this point about what the modern calligraphy font usage is for, it is best for you to make sure that the selected font can reflect an idea, a thought, or an aspiration. It should go well with the content of the material where it will be incorporated to achieve what the user or content creator would like to have. Be keen when looking at the features of the modern calligraphy font that you will use. In selecting the font design to use, it is highly suggested for you to be knowledgeable on the distinctive features of various modern calligraphy fonts. With this, it will be easier for you to scan and browse through different kinds of fonts without veering away from the qualities that you are looking for. Have a potential modern calligraphy font design in mind. In line with identifying the features of your choices, you should already have a peg in your mind. 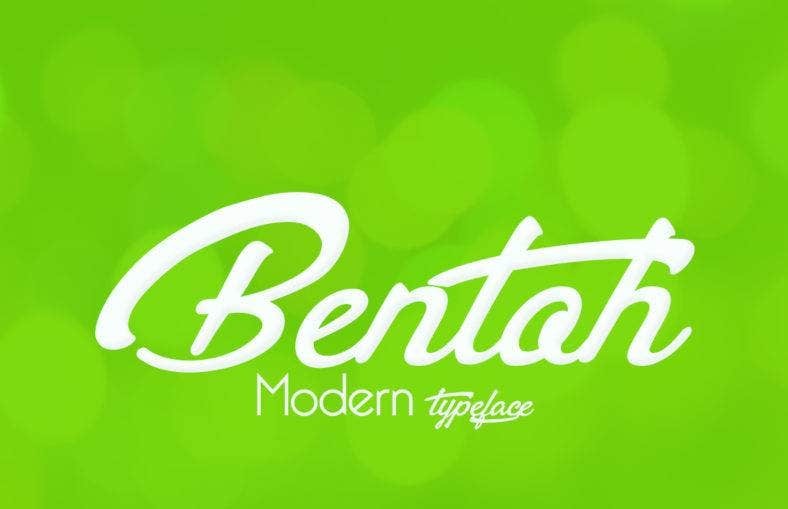 This will help you to make your search for the modern calligraphy font design to use more precise. Know the font size that makes it look its best. Since the designs and features of modern calligraphy fonts vary, you need to make sure that the size you use can give justice to the qualities of the cool letter font that you will select. There are calligraphy fonts that look their best when printed in small stickers or other platforms, while there are also some that can be showcased on billboards and tarpaulins. Make sure that the design items within the material where you will place the font are matched with the font’s aesthetic. If you use intricately designed modern calligraphy fonts, do not make the background too busy as it can steal the attention from the font’s features. On the other hand, simple fonts can be placed in almost anything. The trick that you need to master is on how to make the entire design look appealing. 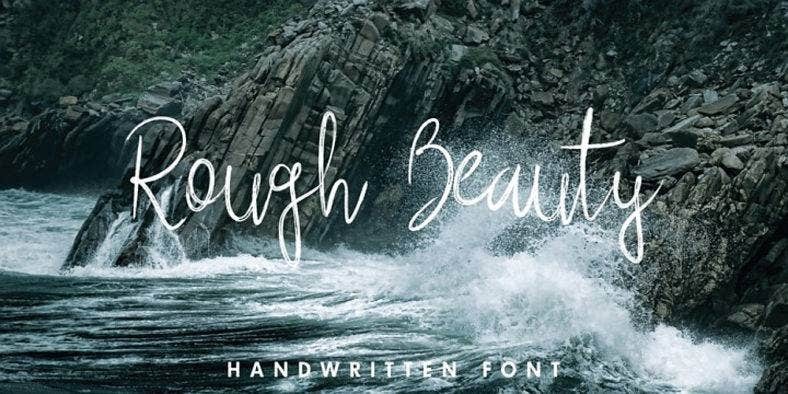 Use additional font effects and features to make your modern calligraphy font be better. Aside from the swirls and flowing lines, you can add shadows and embossed features to your modern calligraphy font. This will make the design more different from the usual fonts that you use. Play with opacity and textures. The level of opacity that you will apply in the font can also make a lot of difference. 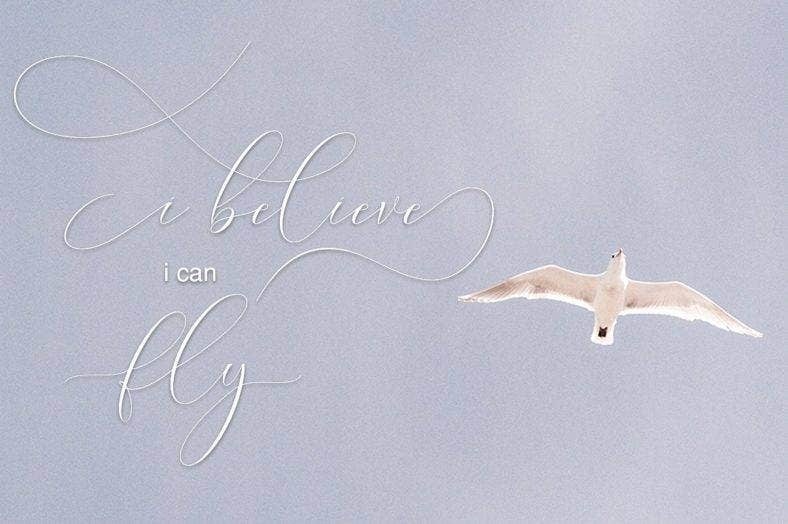 If you want your calligraphy font to blend with the background, lower the opacity level. More so, you can apply textures to your modern calligraphy font for it to have a more detailed appearance. Philosophy script is a great way to improve the aesthetic of any of the design materials that you have in mind where you want the font to appear. 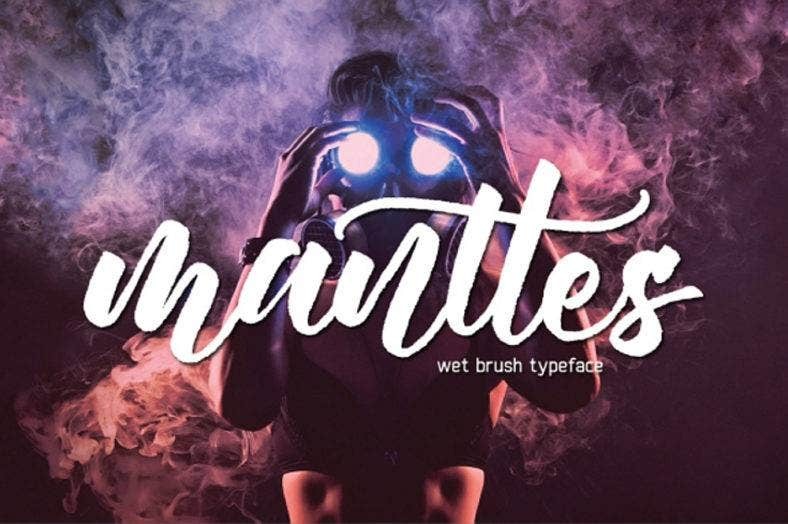 With the exaggerated swirls at the initial and end parts of sentences and paragraphs, you can get a truly dramatic aesthetic if you will use this particular font. Biloxi calligraphy can provide you with different weights of brush application. This makes the design more natural as if it has truly been created through the use of actual brushes. 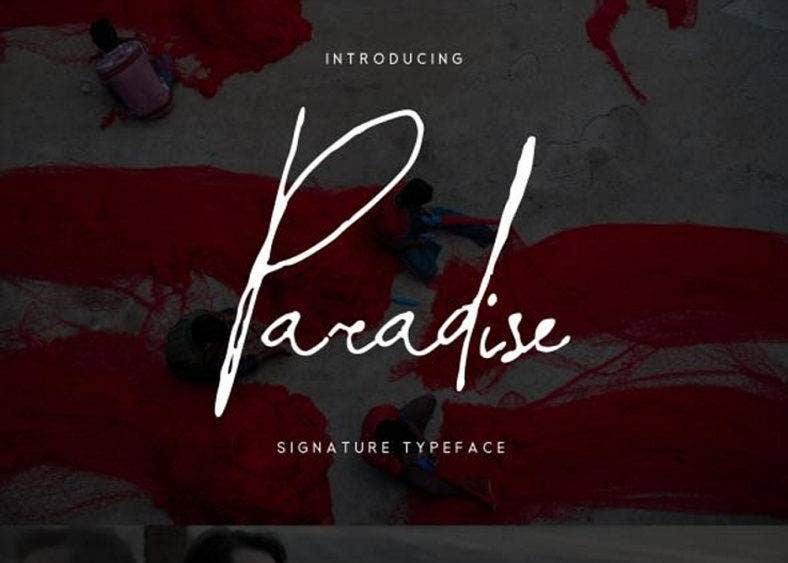 Paradise Signature Typeface, as one of the best calligraphy letters, can be used not just by individuals and groups but by businesses as well. The clean lines and perfect arches within the corners of this modern calligraphy font will look amazing on varying documents may it be for personal and corporate use. We all know that it can pretty be overwhelming to know which modern calligraphy or hand lettering font it is that you would like to use. Each font has different strengths, and they can all be used in circumstances where their strengths will truly give an impact on the people who will look at the output. We hope that the items and samples that we have presented in this post can convince you to use modern calligraphy fonts in your next creative project. Again, knowing the kind of project that you have and the font that match it are two of the most important items that you need to have a grip on so as to make sure that you can get the most out of using modern calligraphy fonts.